Looking at the cover, reading the description, you might expect this book to by schticky to the max. 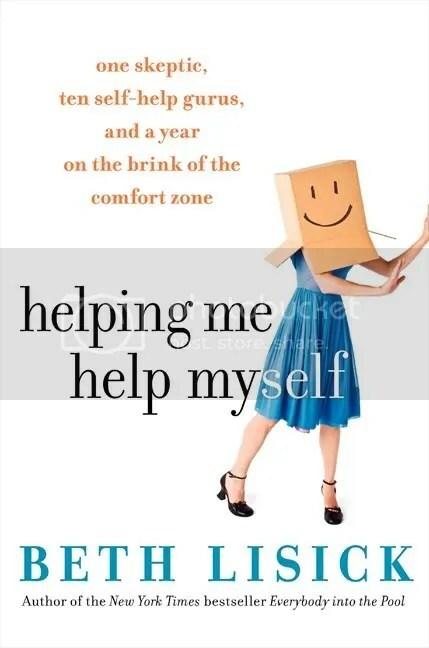 Cashing in on the latest “I Did This Weird Thing For A Year Craze,” Beth Lisick decided to follow a different self-help strategy for almost every month of the year, and write about how they did or did not help her life. Schticky. But Beth Lisick, author of the loopy and enjoyable collection of autobiographical essays, Everybody Into The Pool, conquers this particular subgenre by presenting her life to the reader as plainly as possible. Beth reaches a crisis point one New Years Day. Her life is fine – jobs are always there, even if she’s pretending to be a lesbian poet or dressing in a banana suit to make ends meet, her marriage is solid even if she never spends any time with him, and her son seems to be well adjusted despite a slight discipline problem. But just like every other American, it’s those “buts” and “even ifs” that get under Beth’s skin. On the first day of 2006, she decides to stop trying to fix herself on her own, and turn to The Experts. Consulting everyone from Suze Orman to a delgihtfully droll Richard Simmons Cruise, Beth documents her trials honestly, even admitting defeat from time to time. Not everything is a grand learning experience; sometimes even the best laid plans end up sucking. Buy this for: Dave Sedaris aficianados, Chick Flick Lovers, and anyone who owns a copy of Men Are From Mars, Women Are From Venus.